Researchers at Yale University have published a new study that strengthens the link between the human gut microbiome and autoimmune disease. When scientists sequenced the human genome, it gave us an unprecedented (and organized) understanding of how genes affect our health. In recent years, researchers have taken a similar interest in understanding the human microbiome, and its impact on health — especially when it comes to the bacteria that thrive in our gut. If you’ve ever taken a probiotic supplement, you already know that some bacteria are “good,” and that sometimes, not having enough gut bacteria can be detrimental, and even fatal. Science still has a long ways to go in fully understanding exactly how the microbiome influences our overall health, but researchers at Yale have made a discovery that’s given us a better sense of just how influential our gut bacteria can be. Especially if they decide to go rogue. The recent study, published in the journal Science, found that a specific type of gut bacteria can actually leave our gastrointestinal system and cause trouble elsewhere in the body. Furthermore, the researchers found that when that bacterium, Enterococcus gallinarum, relocates to other organs (like the lymph nodes, liver, and spleen) it appears to trigger an inflammatory response. That response, such as the release of antibodies, seems to be linked to the development of autoimmune conditions like lupus. The team started by demonstrating the link in mice who had been genetically engineered to be susceptible to developing autoimmune diseases. They then confirmed that human patients with autoimmune diseases often have E. gallinarum in their livers. Promisingly, the researchers also found that they could even suppress this autoimmune response in mice with an antibiotic or vaccine that targeted E. gallinarum. By keeping the bacterium from growing, they could reduce its impact on the immune system. 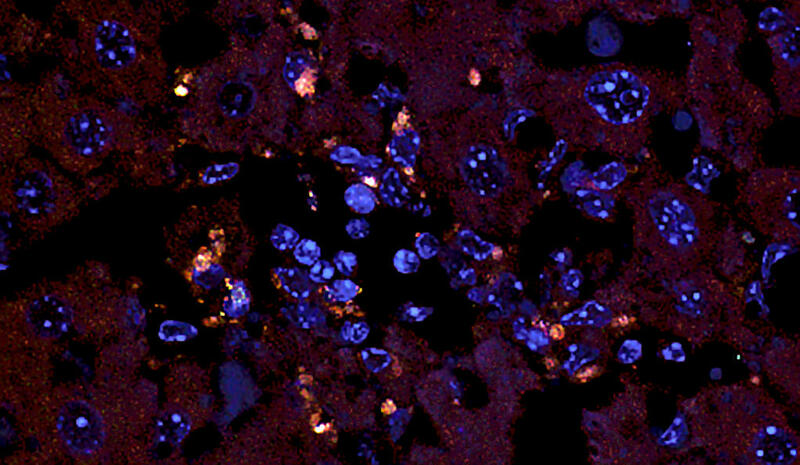 The Yale researchers aren’t the first to make the connection between the gut microbiome and autoimmune disease, but their research is now part of a much broader research effort to strengthen that connection. If clear cause-and-effect can be established between the onset of certain conditions with the presence of specific bacteria, the researchers believe that treatments to keep the bacteria at bay — such as antibiotics or vaccines — could stall, or prevent, the development of the autoimmune disease associated with it.